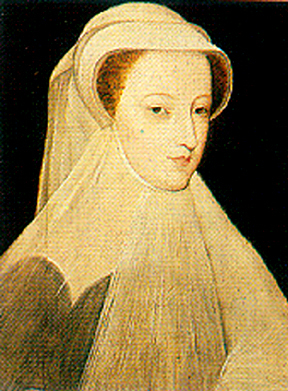 Catholic Mary Stuart, Queen of Scots on 20 August 1561.
to contain her own practice within the bounds of her home. herself and her Court on pain of death for interfering. England.” How wrong he was on all counts. against a burgh for expelling priests). 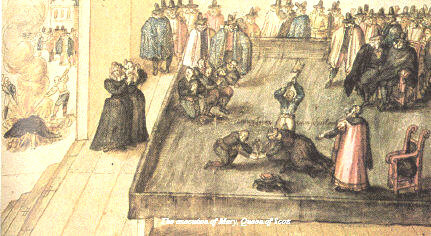 (the Fifth Covenant) at Ayr on 4 September 1562.
events that followed was Mary’s undoing. Stuart, Lord Darnley, on Sunday, 29 July 1565.
of Lennox and, like Mary, a great-grandchild of Henry VII. English throne as well as a claim to the Scottish throne. Lennox family had many enemies in Scotland. confirmed all the suspicions in the eyes of the people. escape into England (and exile). have been conversant with the pending forced abdication.